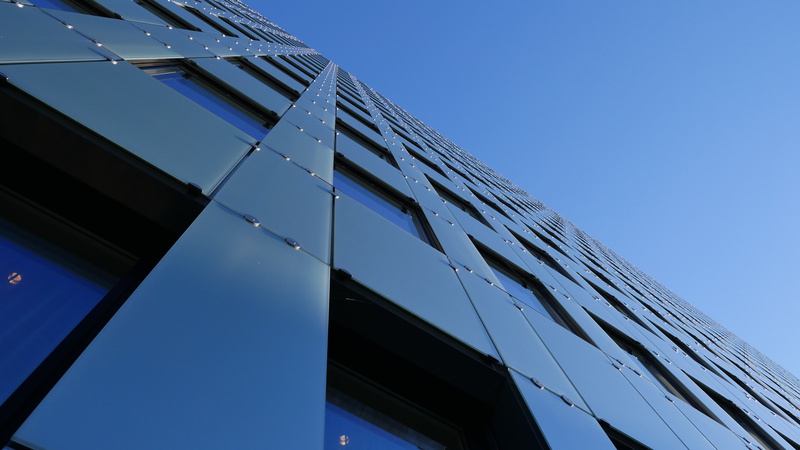 Pre-lacquered aluminium is a fast-developing material for cladding. Alpine Aluminium combines very high-duty aluminium alloys with very high-quality lacquers in order to offer clients the durability necessary for this type of use. In the past few years, numerous skyscrapers and luxury buildings have been completed in Europe and Asia. Range of colours : Wide selection of colours (Coil Coating) and coatings—multiplying the possible combinations in 2, 3 or 4 layers. Light : The aluminium’s low weight makes it easy to handle in the workshop and on the construction site. Easy to work with : Guaranteed 0T or 0.5T bend rating to make cassettes or any other façade components.